The Monitor Module is operated by port free contact, which signals an alarm to the FACP. 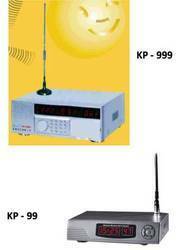 It can help in monitor to any conventional device like water flow switch, beam detectors etc. Electronic addressing can be done at site as desired through DIP switch, present inside the module. We are successfully meeting the requirements of our clients by offering the best quality range of Control Module.